Who could be more important in your life than the people you call family? Regardless of the size of your clan, each member makes up a tiny piece of your puzzle. Our family members are an integral part of who we are — regardless of where they happen to live or how close we are to one another. Our family members deserve a little extra recognition on their special day — their birthday. What better way to show them how much they mean to you on their very own birth-a-versary (see what we did there?) 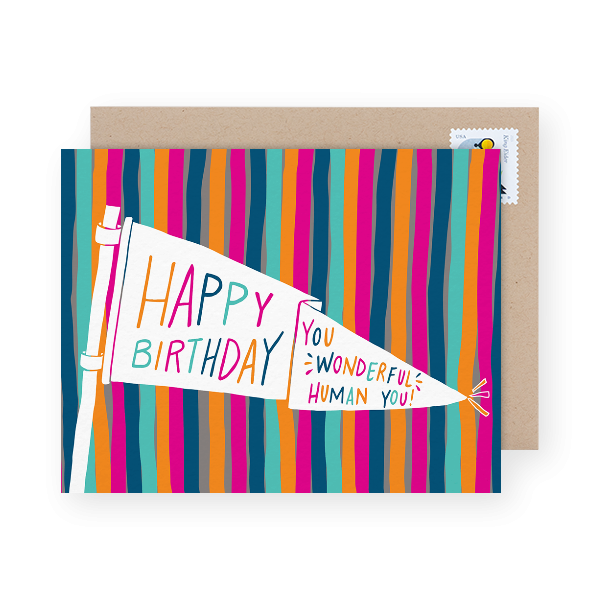 than to send them a special birthday card? And of course include a special birthday message with all the love in the world. Whether it’s mom, dad, one of your siblings or grandparents — sending a birthday card is kind of important. [Understatement of the year!] It takes so little effort and yet the effect is huge! Getting a birthday card makes people feel special and loved. 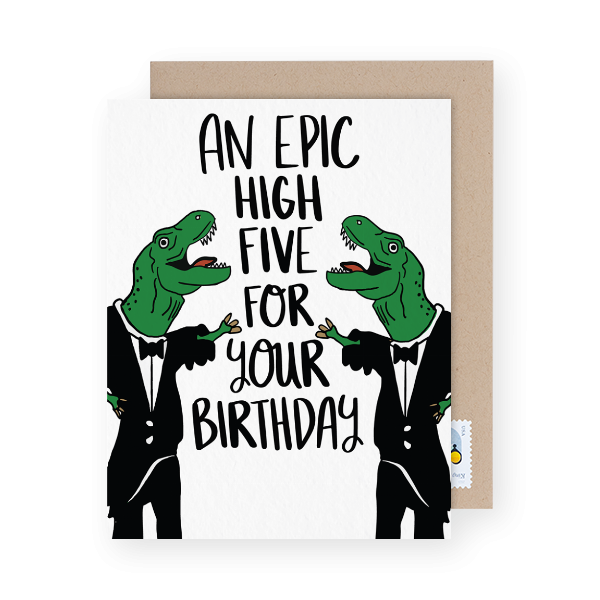 We know that picking out birthday cards for family members can be tricky and with a giant collection of birthday cards, we thought we’d pick some of our favorites to make it uber easy! So you grew up with a brother or a sister… or both. Then you understand how strong of a bond the two of you have — regardless of how much you fought growing up. Life has a funny way of bringing siblings together. Whatever relationship you and your sibling(s) have with one another now, we’ve got a card that speaks to the unique-ness of each of them. 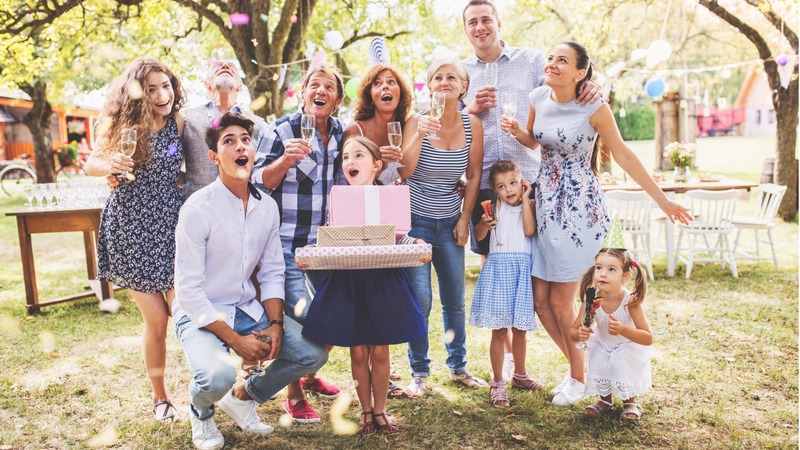 If you want to make sure your brother or sister is loved on their special day — however far apart they may be (physically or figuratively) — sending them a card will do the trick. Because since when did they get so grown up!?! 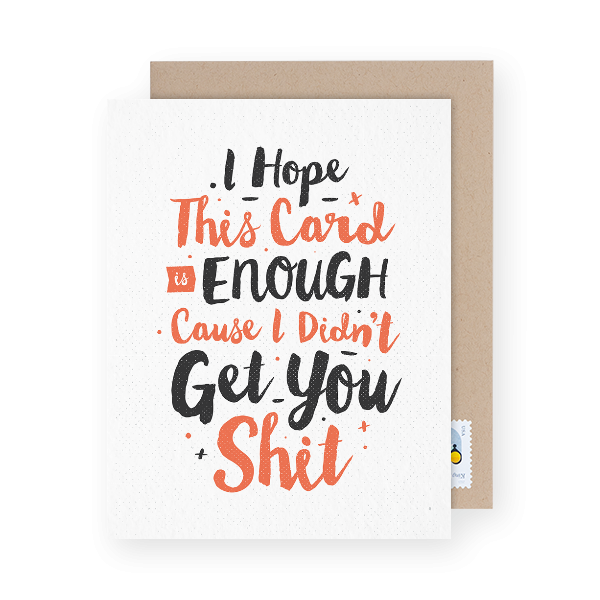 This card by Sea & Lake Paper Co. is adorable and funny and true. Seriously, why did they have to grow up? Write your own personal message and send this card here. 2. For the BFF sister. When your sister (and best friend) has her birthday it’s pretty much your job to make it the greatest day ever. And this card is just the start. Write your own personal message and send this card here. 3. For the outdoorsy sibling. Did you guys grow up outdoors? Camping weekends with the family is where you probably had some of your greatest bonding moments. 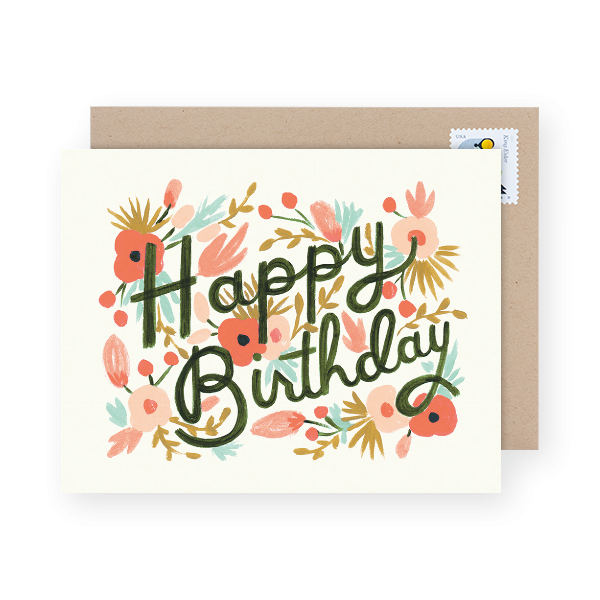 Write your personal birthday message and send this card here. 4. For the sibling that has everything (including a good sense of humor). 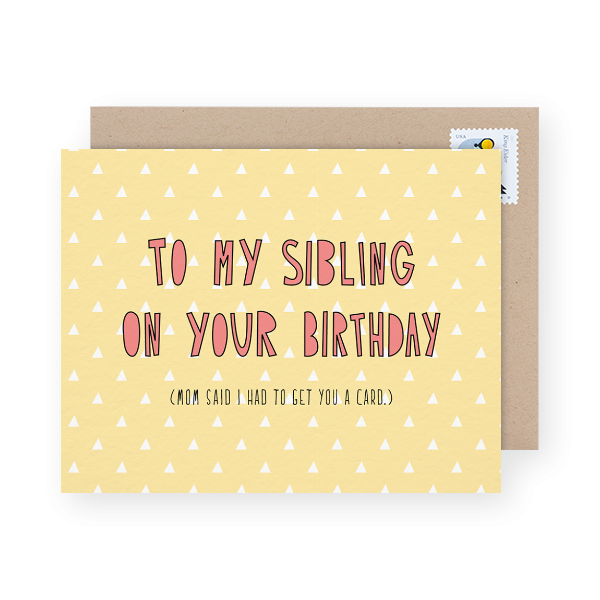 Some things only a sibling can truly understand… Write your message and send this card here. 5. For the sibling that took the pressure off of you. And probably made your childhood way more exciting. Write your message and send this card here. 7. 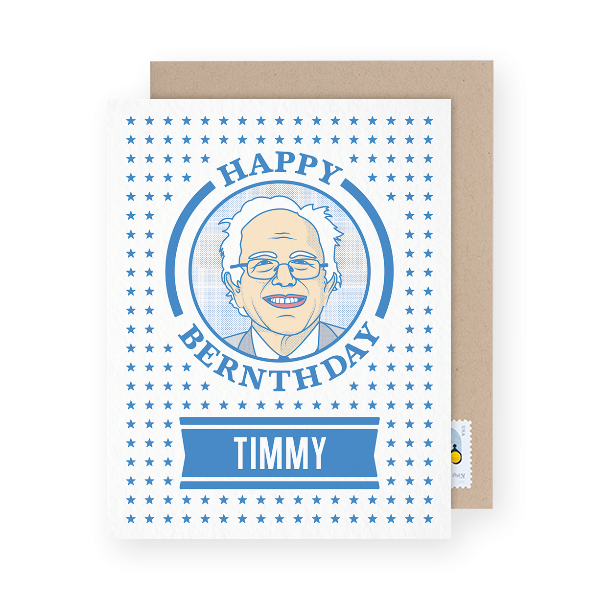 For the sibling that appreciates a good Bernie pun. The timing couldn’t be more perfect. Write your message and send this card here. 8. For the party-buddy sibling. Ahh.. You two probably have some great memories — go ahead, get a little nostalgic in your message! Send this card here. But also has a sense of humor. Write your message and send this card here. 10. For just about any sibling. It says it right there on the front. Write your message and send this card here. 11. For the photogenic sibling. Have a really great photo of the two of you? Could be from when you two were growing up or anything recent. 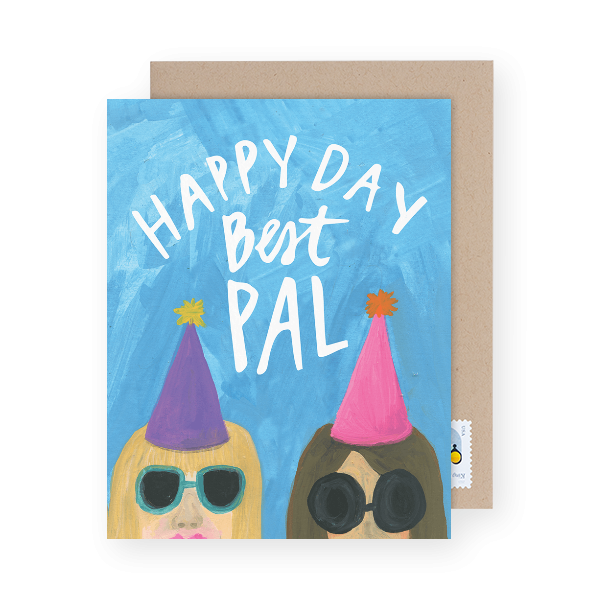 This photo birthday card is perfect for reminding your sibling of your sisterly (or brotherly) love. Write your message and send this card here. Mom has been there for you probably more times than you can remember. The very least you can do is send her a lovely birthday card. 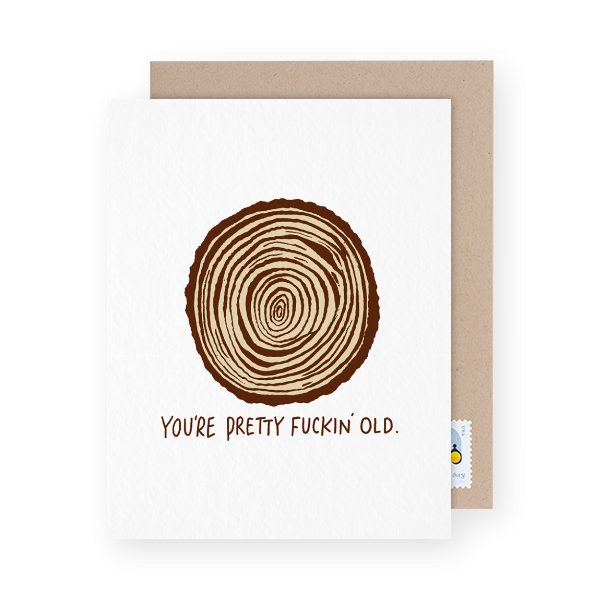 If not lovely, then perhaps a funny birthday card. However you spin it, you should be making mom’s special day — special. 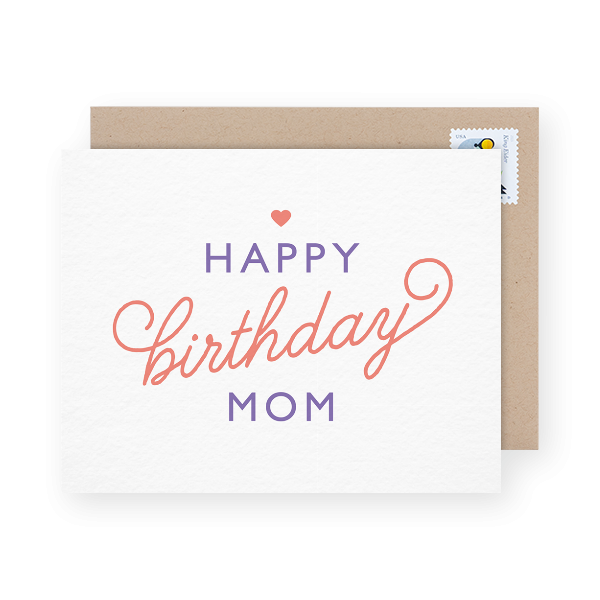 If mom’s birthday is just around the corner, don’t wait until the last minute to send her a card. 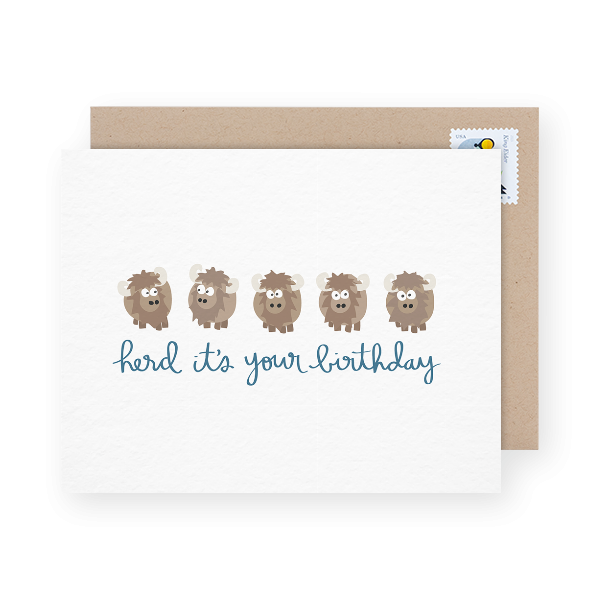 Postable’s selection of Birthday cards for mom will likely have a design that tickles your fancy. While shooting out a quick text sounds like a good idea right now, that’s no way to show mom you care. If you always intend on sending a proper card, but year after year you end up sending mom a text (or a dreaded e-card) because time never seems to be on your side — send a birthday card for mom without leaving your couch [right now]. You can still show mom your love without having to go to the store for a card and stamps or ever stepping foot in the post office. This card by Near Modern Disaster says it all. 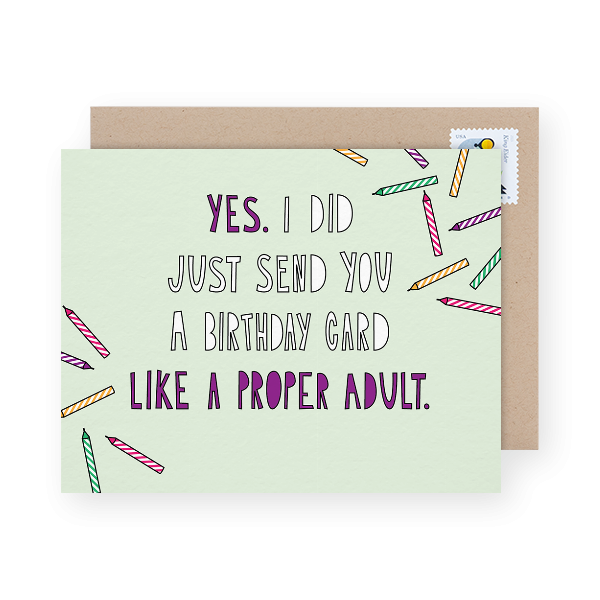 Show mom what a proper adult you are with this fancy birthday card. She’ll probably get a good giggle out of this one. Who wouldn’t want a giggle on their birthday? Write mom a personal birthday message and send this card here. This cute birthday card is for the plant mamma. For the mom that has just about run out of space to plant any more green babies around the house. 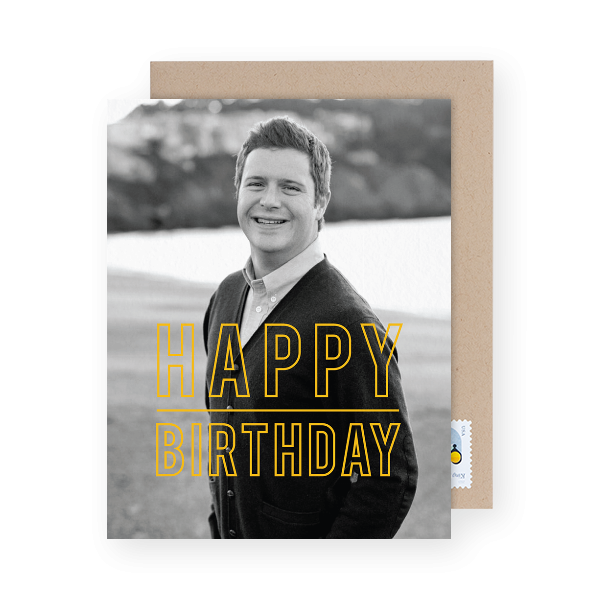 She’ll appreciate this simple black and white birthday design by Hello Paper Co. Write mom a personal birthday message and send this card here. Have a nice photo to share with mom? 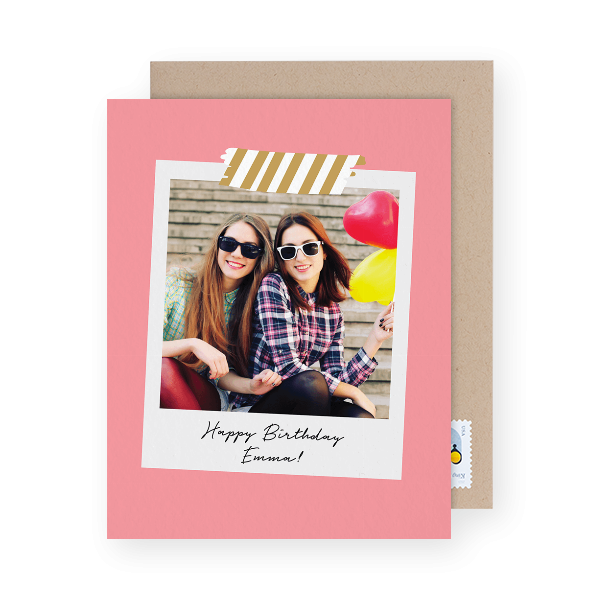 She’ll love seeing your smiling face on her birthday card and may even put it up on the fridge. Upload your own photo to this simple birthday card by Postable. Write mom a personal birthday message and send this card here. 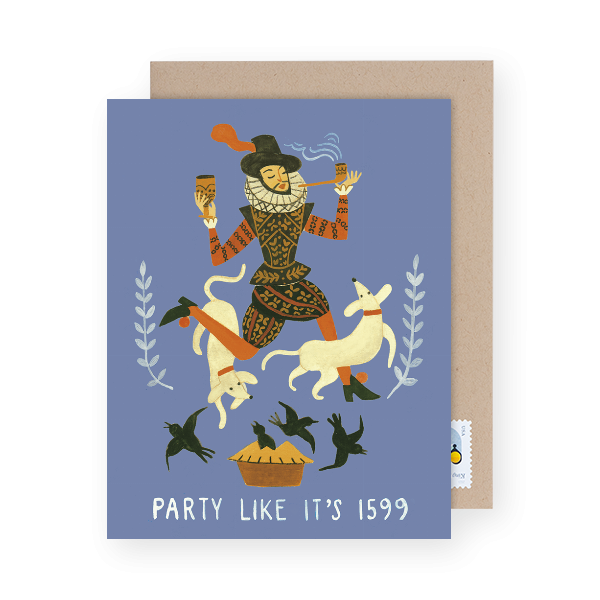 Send mom this delightfully fun birthday card by Forage Paper Co. Perfect for the mom who has a furry baby around the house. Write mom a personal birthday message and send this card here. 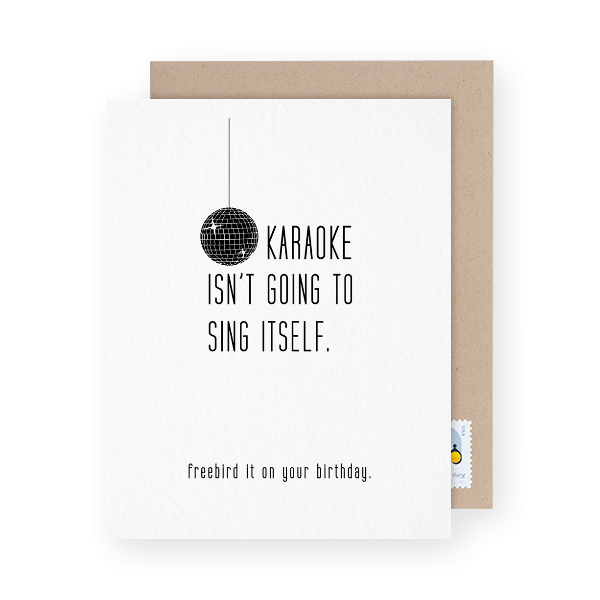 Send mom this beautiful birthday card by Clap Clap and she’ll probably want to frame it. Wouldn’t you? This beautiful design is a lovely creation that will brighten mom’s special day. Write mom a personal birthday message and send this card here. Sometimes you should remind mom how wonderful a human she is. When was the last time you did that? 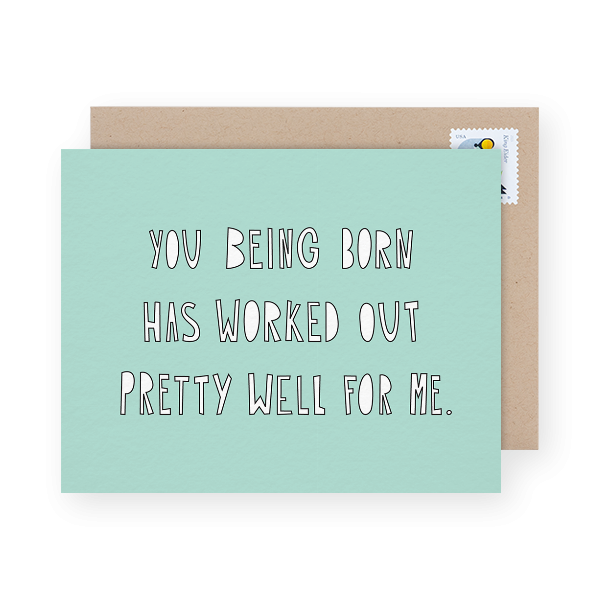 Send mom this birthday card by Sea + Lake Paper Co. and remind her just how awesome you think she is. It’s so bright it’s bound to brighten up her day. Write mom a personal birthday message and send this card here. This simple birthday card with a place to upload your own smiling face will surely make mom smile. Pro tip: Make sure to upload a high resolution photo so that it prints out well. Play around with your own photo here. This lovely birthday card for mom is also customizable (add mom’s name to the front if you’d like). Don’t forget to write a personal message on the inside of the card! 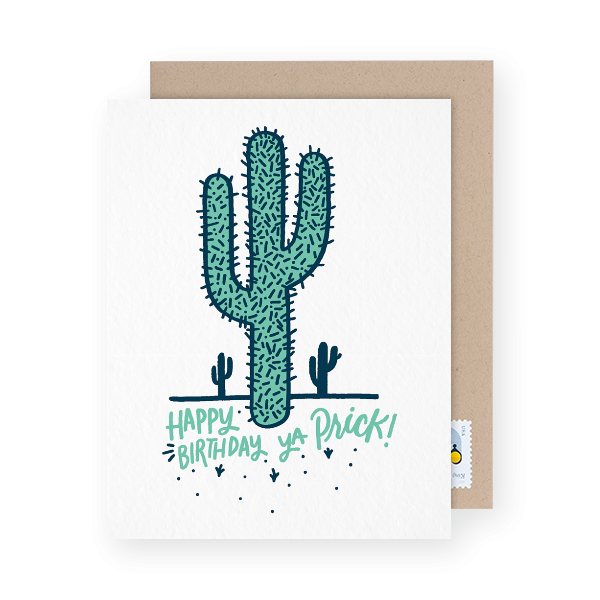 Send this card here. Perfect for the mom who likes a good cocktail. 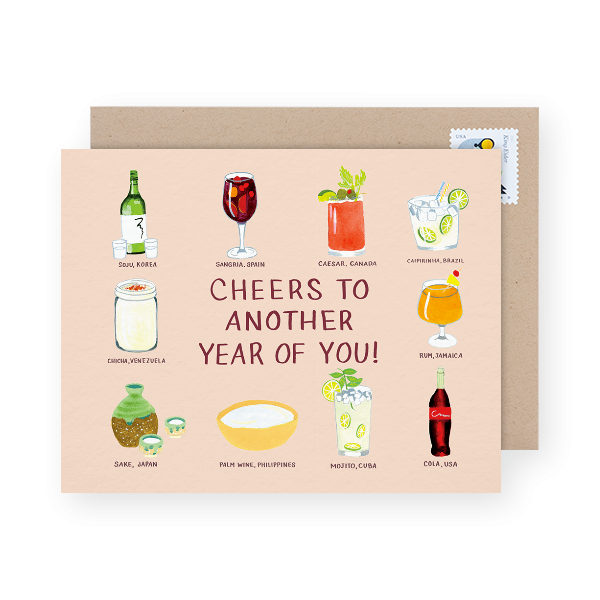 Send this cute birthday card design by Small Adventure and think about matching the gift to fit the theme (a nice bottle of wine for instance). Write your personal message to mom and send this card here. The perfect birthday card for the mom who loves a good cup of joe. Then again, who doesn’t? 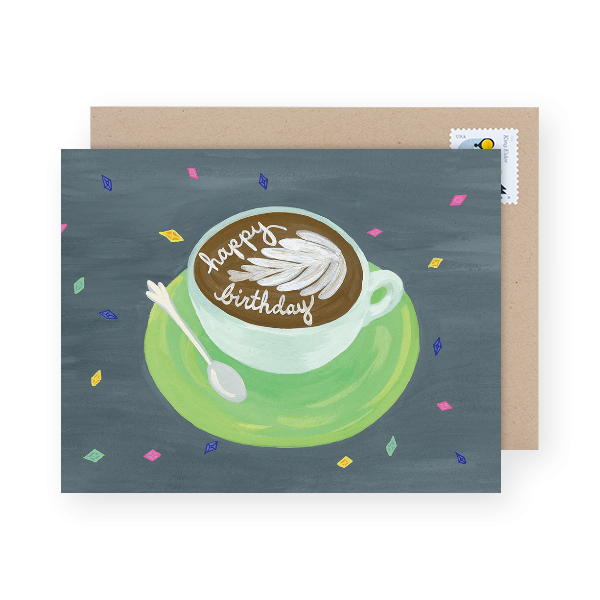 This adorable illustrated birthday card by TYLRE would go great with a bag of fresh coffee beans or a cute coffee mug. Send mom this birthday card here. 12. Mom the Baking Queen! 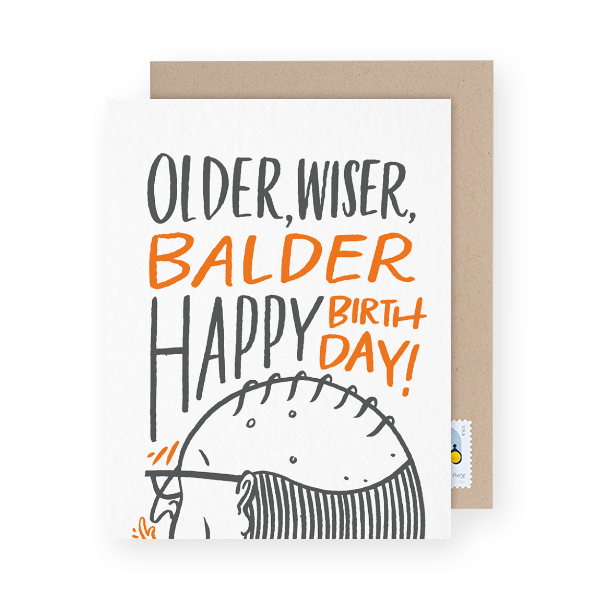 We had to include this delightful little pun birthday card by A Jar of Pickles! This would be perfect for the mom that makes the best chocolate chip cookies! Or you know, just loves to bake. 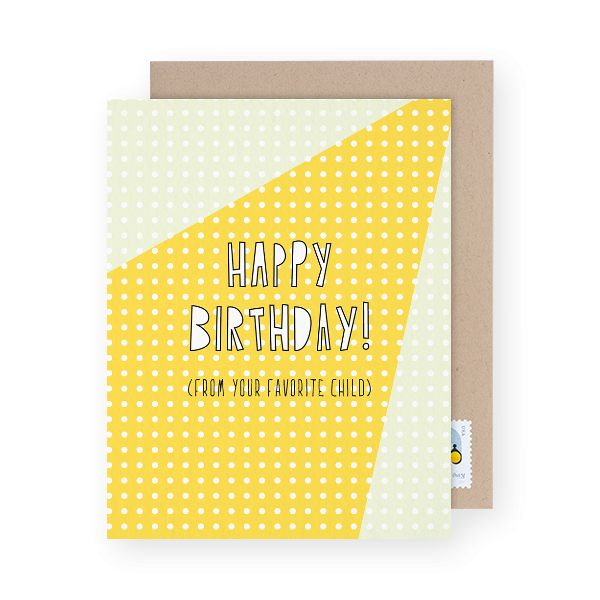 Write your personal birthday message for mom and send this card here. Have a dad that’s gone out of his way — every chance possible — to make your special day a success? Or maybe he’s been there to sneak you that chocolate chip cookie when you needed it most. Or maybe he’s been there to give you all the life advice you could ever need (and then some)? 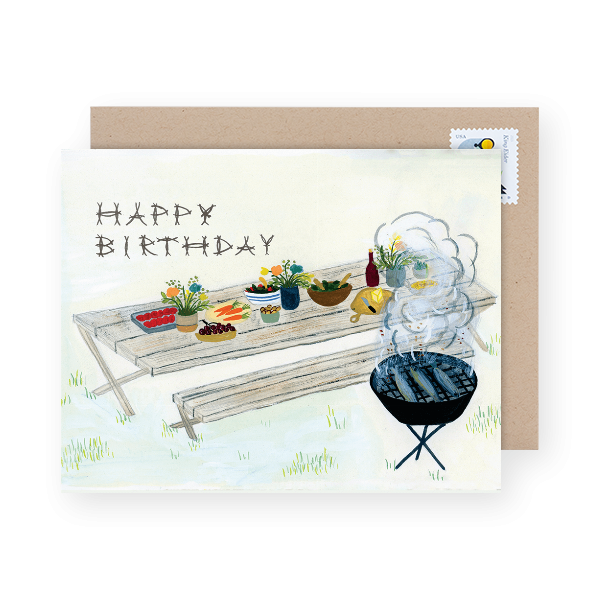 Whatever awesome things the dad in your life has done, be sure to make him feel all sorts of special by sending him a birthday card. 1. For the Space-y Dad. Does your dad love to keep up with the latest and greatest space-exploration news? Maybe he’s a science nerd. Or maybe the dad in your life just appreciates a good ole’ play on words. 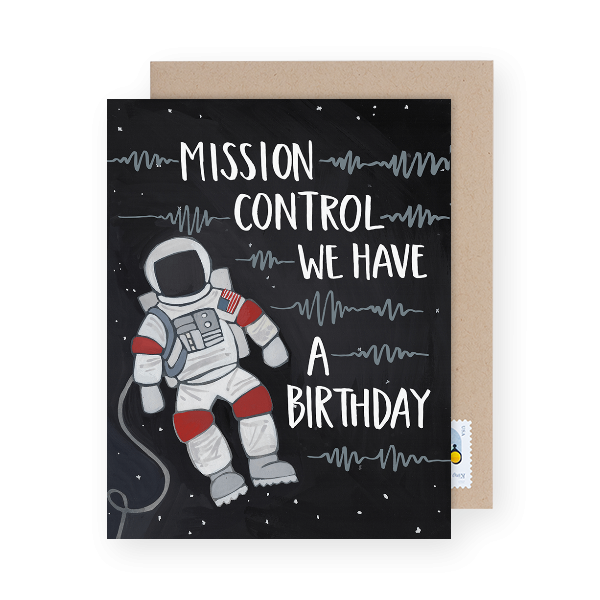 This mission control birthday card by One Canoe Two is perfect for dad! Write your personal message and send this card here. 2. A true Gentleman indeed. Does dad love American History? Then this birthday card by One Canoe Two couldn’t be more perfect. Write your personal birthday message to dad and send this card here. Ok, who doesn’t love a delightful little pun? Especially if dad has been known to throw around a pun or two of his own. 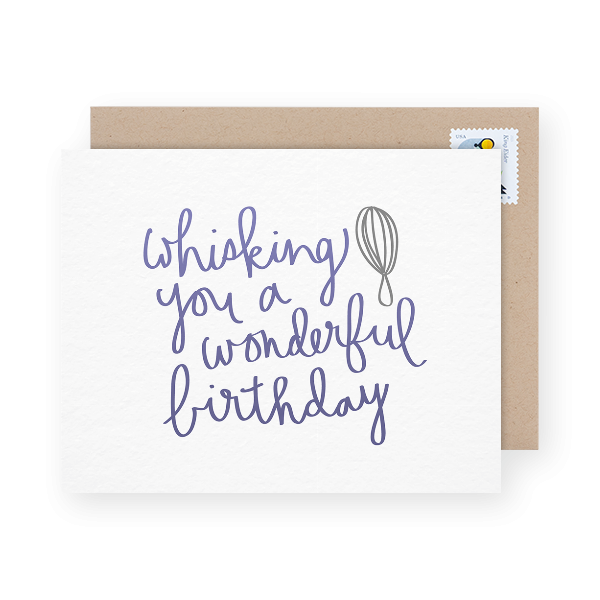 Write your personal birthday message to dad and send this card by A Jar of Pickles here. Dad a history buff? 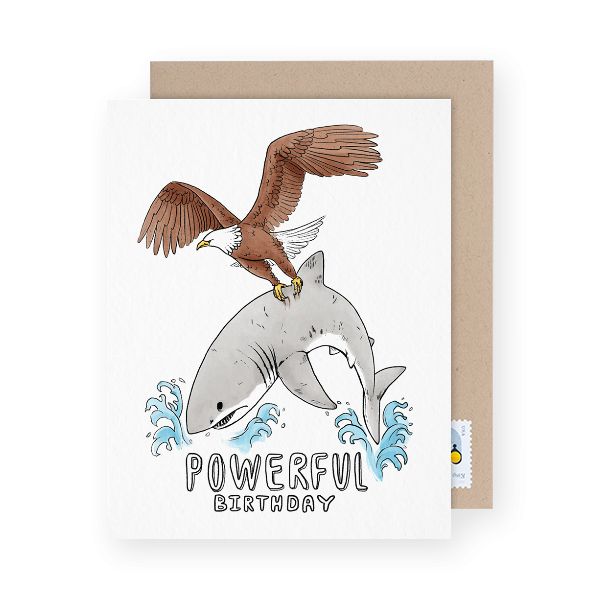 This hand painted quirky birthday card by Quill and Fox would be perfect! Write your personal birthday message to dad and send this card here. Of all the people in your life, dad would be the one to appreciate this funny birthday card the most. If you’re giggling away at yourself because you know it’s true — go ahead, send dad a giggle! 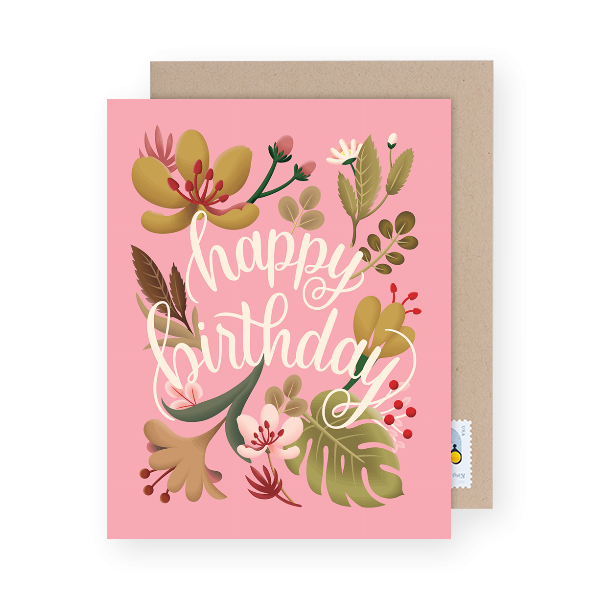 Write your personal birthday message and send this card here. Can dad take a joke? This Bench Pressed Birthday card would be perfect if he’s the type to laugh at such things. Write your personal birthday message to dad and send this card here. 6. From Your Favorite Child. Near Modern Disaster has a way with words. This birthday card for dad is pretty spot on. Write your personal birthday message to dad and send this card here. Something about this design screams power! It’s perfect for the dad that loves the discovery channel. Write your personal birthday message to dad and send this card here. Is your dad always up for a new adventure? 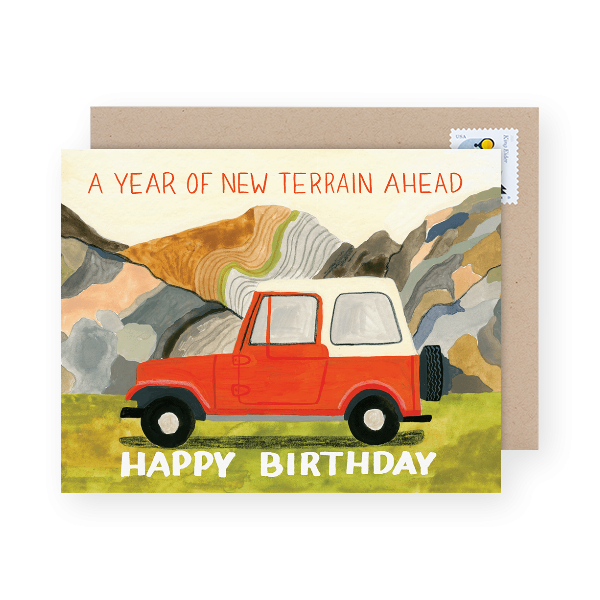 This Small Adventure birthday card would be perfect! Write your personal birthday message to dad and send this card here. If you’re lucky to have grandparents in your life, you shouldn’t even think twice about wishing them the most glorious of birthdays! They’re the magical unicorns in your life so be sure to send them all the love in the universe on their special day (and every day). It really doesn’t take a whole lot to impress your grandparents. They love you more than you’ll ever know so just about every slightly good thing you do makes them proud. But that doesn’t mean you shouldn’t try your best to make them proud and show them just how much you love them! Sure, our grandparents love to bake us cookies and knit and what not, but there’s also those grandparents who’d totally be up for a night on the town (so long as the night ended by 8pm). This card will likely make the grandparents giggle and hell, maybe they’ll even come sing with you! Write your personal message and send this card here. It’s simple and classy. Add a picture of your smiling face — even better if you have a picture of the two of you — and write a personal message here. 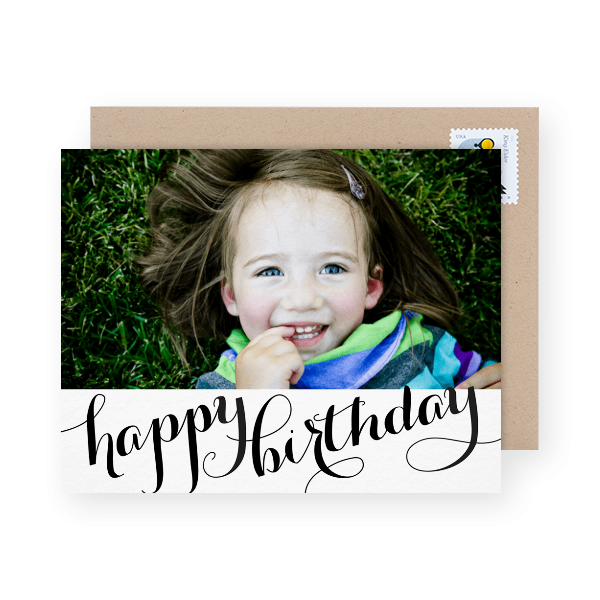 Grandma will love this simple and lovely photo birthday card. 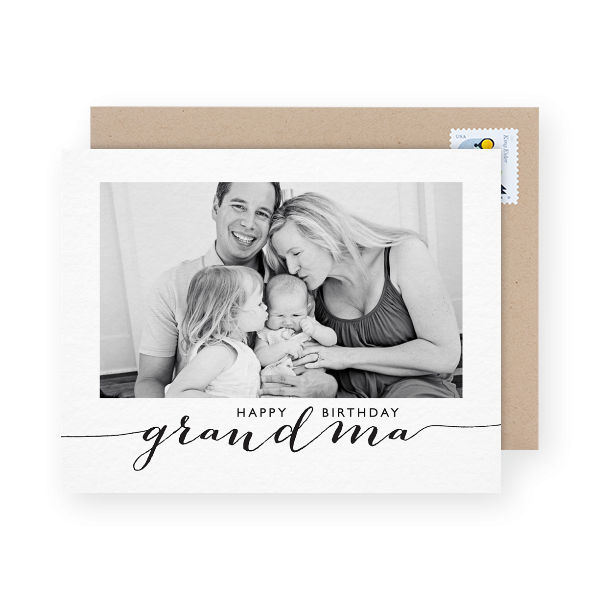 Write your personal message and let grandma know how much you love her here. Have grandparents in Florida? Did they move to live out their retirement in the glory of the sunshine? 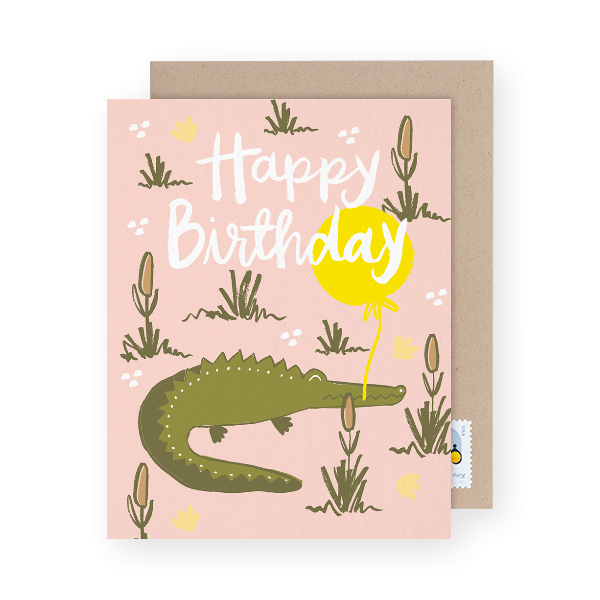 This gator inspired birthday card will likely warm their hearts! Send it here. Sometimes a classic floral birthday card is all it takes. 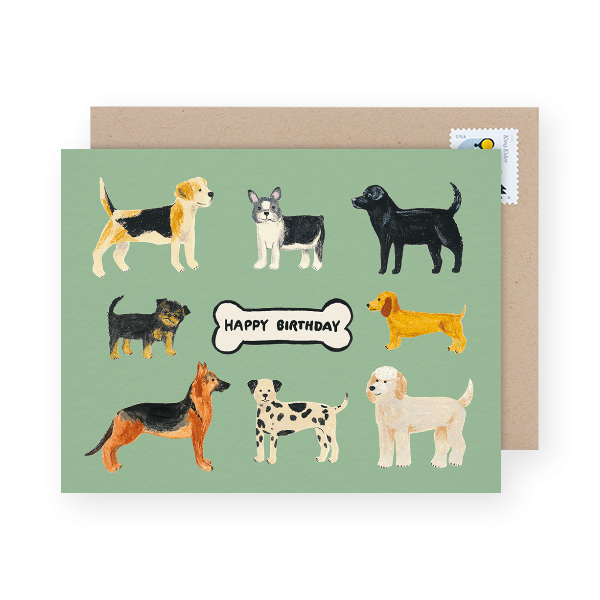 Your grandparents love you and will no doubt appreciate just about anything you’ll send them, but why not delight them further by sending them this classic by Rifle Paper co. here. Grandma or grandpa obsessed with their furry little fur ball? 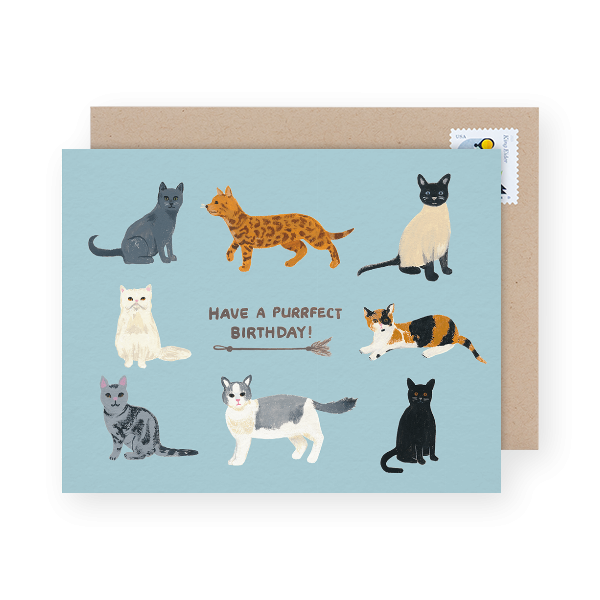 Send them this adorable cat birthday card here. There you have it. 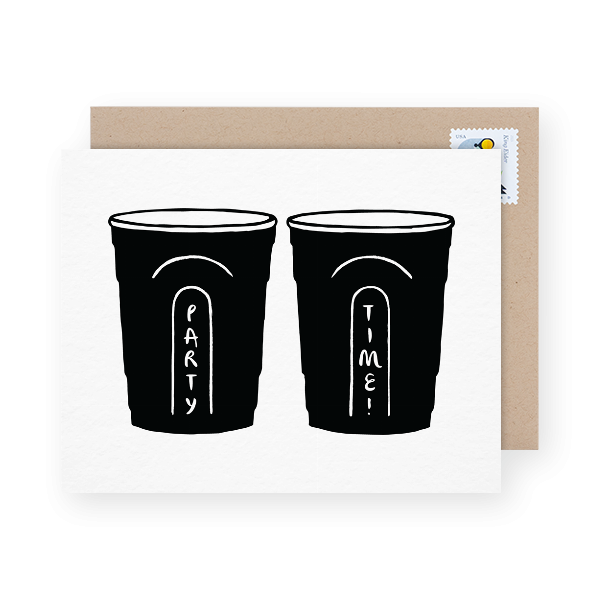 Birthday cards for family — as in just about anyone and everyone in your family. 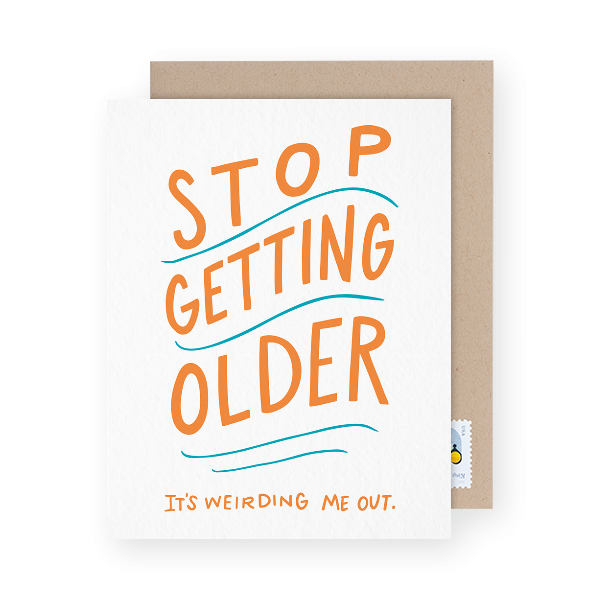 Everyone deserves a real personal hold-in-your-hand birthday card on their special day. 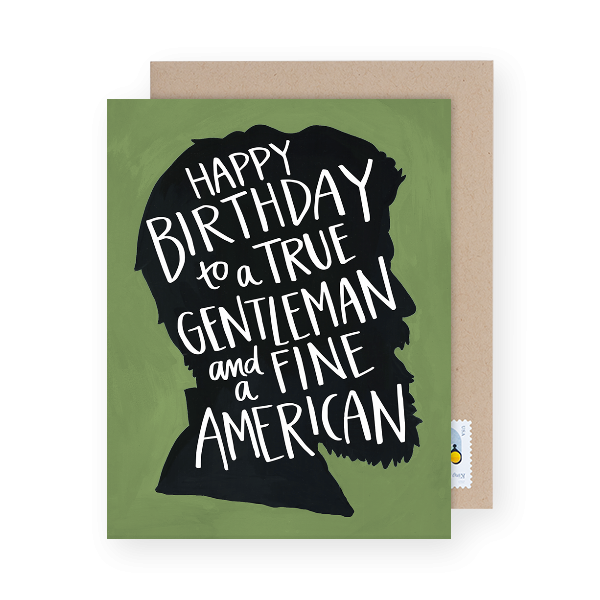 Go ahead, take two minutes to send your mom, dad, sister, brother, or grandparent a birthday card here.